Go Hogs! Razorbacks Birthday Cake! My son is a big sports fan, especially soccer. 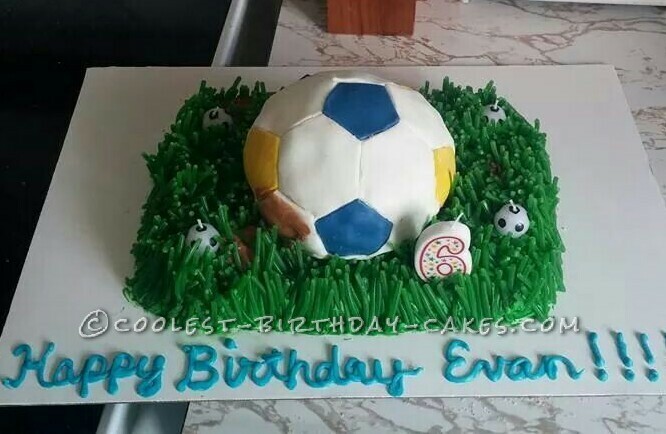 So for his birthday, a soccer themed cake was a must. I bought the Wilton soccer ball cake pan and placed it on a quarter sheet cake. I covered the cake in green tinted butter cream. 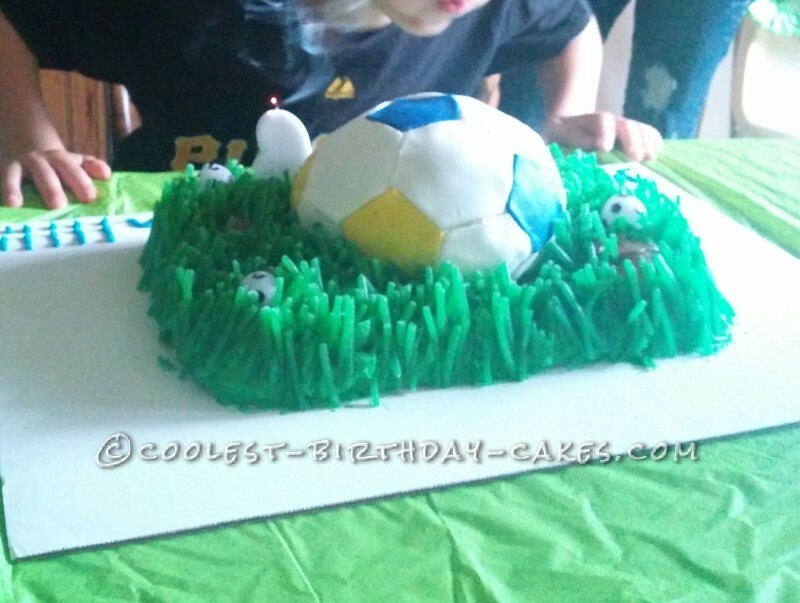 The ball is frosted with marshmallow fondant in his school colors, and the sheet cake was covered all over in cut pieces of pull-n-peel twizzlers to look like grass. There are a few mud puddles, at the request of the birthday boy.